I was at the first Waves of Grain Beerfest last year and it was a blast. Last year they had 25 breweries represented; this year it will be more than 40 American craft brewers representing. The list includes Anchor Brewing, Beachwood, Ballast Point, Cosmic Ales, El Segundo Brewing, Monkish, Strand Brewing, Smog City, Stone, Dogfish Head and a host of others. 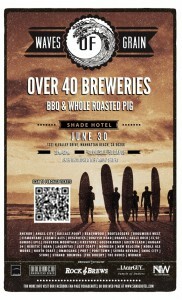 If you enjoy craft beer you are going to really enjoy this. 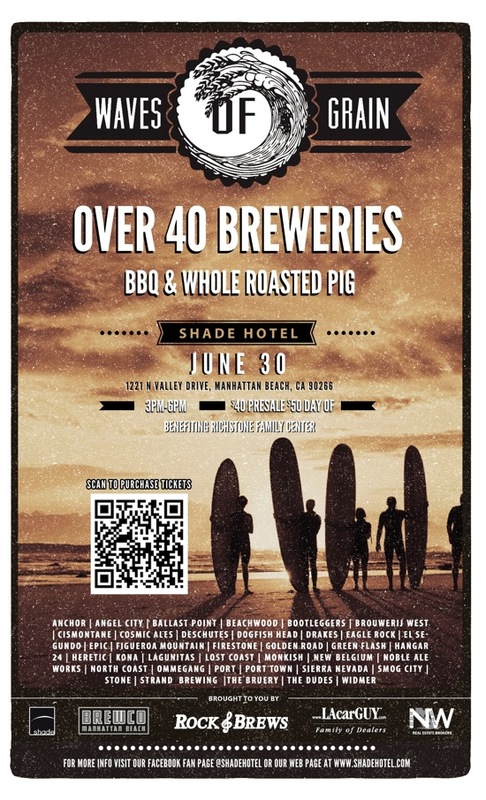 If being able to enjoy great craft beers and help a worthy cause at the same time is not incentive enough; they are also having a barbecue with a whole roasted pig. I have not steered you wrong yet, this is going to be a very fun event; you do not want to miss it. Waves of Grain is Sunday, June 30, 2013 from 3-6 PM. You can purchase tickets ahead of time for $40 each (there is a $3.19 fee per order, not per ticket) online at the link I provided; or you can buy them at the door for $50. There is no guarantee there will be tickets at the door though, there is limited space so I highly advise buying your tickets ahead of time. I hope to see you there; be sure to smile if you see my camera pointed at you.